360 feedback processes are a method of systematically collecting opinions about an individual's performance from a wide range of coworkers. This could include peers, direct reports, the boss, the boss's peers, and superiors, as well as people outside the organization such as stakeholders or clients. The benefit of collecting data of this kind is that the person gets to see a panorama of perceptions rather than just self-perception, which affords a more complete picture. These types of assessments can provide a good starting point for coaching to improve leadership skills. 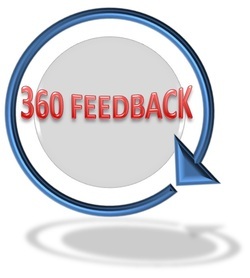 There are two types of 360 feedback processes: interview and survey. The interview approach is where the coach interviews selected people who represent various levels across the organization about the performance of an executive, and provides a confidential report on results to the executive requesting the feedback. This approach is most often used by senior executives and is a service provided by Hardy Coaching Group. The survey approach uses 360 feedback survey instruments. Hardy Coaching Group uses one of its partners, Lead Action, for these survey approaches. Among its services, Lead Action provides customized 360 feedback instruments and processes to organizations and individuals upon request. Jane Hardy is certified to debrief on the 360 feedback instruments used by Lead Action.